Choosing new siding for your home and having it installed is a task that you likely don’t want to do more than once in your lifetime. Thankfully, when you turn to ABC Seamless Home Specialists, once in your lifetime is enough. 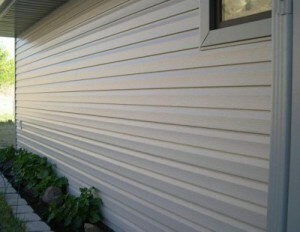 We offer top-of-the-line seamless steel siding that is expertly crafted to stand the test of time. In fact, we are so confident in its long-term performance, that we back it with an unbeatable lifetime transferable warranty, so you can feel confident your investment is protected. Strong – Our siding is forged from heavy-duty galvanized steel that stands up to hail, strong winds, and windblown debris, acting as a protective shield for your home year after year. Energy efficient – Because our steel siding is seamless, it drastically reduces the risk of drafts. This seamless construction and breathable foil back insulation help keep your house cooler in the summer and warmer in the winter, reducing the strain on your HVAC system and potentially lowering your energy costs. Attractive – Our siding is available in an exciting range of profiles, styles, textures, and colors, so you’re sure to find something that significantly enhances your home’s curb appeal and value. If you would like to learn more about the many benefits that our steel siding provides, contact ABC Seamless Home Specialists today. We are proud to serve homeowners in the Fitchburg, WI, area.